Little ghosts beware! 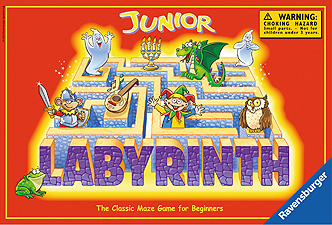 Things are always changing in the labyrinth: the walls and pathways are constantly moving. Can you discover all the secrets? Move the maze cards to open up new corridors and travel along them to the hidden treasures. Only those who pay close attention will discover the secret of the Labyrinth.